As someone with oily-combination skin and a long history of fighting acne breakouts (still have the scars to show for that 😭), I have been through a lot of clay-based face masks. In general, they are a great way to tone down the oiliness and give the skin a fresh and tightened feel. Unfortunately though, much like my experience with oil-free moisturizers and acne-fighting face washes, most clay-based face masks leave my skin feeling and looking dry, dull, and parched. I am quite convinced pure clay-based face masks work best on younger skins or as heavy artillery on an occasional pimple. For regular, all-over use, though, they have always seemed too drying for me. And that's why I love the Caudalie Instant Detox face mask. Like any good clay-based face mask, the main ingredient in the Caudalie Instant Detox mask is, of course, bentonite (pink clay). Other ingredients in the mask include coffee, papaya enzymes to brighten skin, organic essential oils of lavender and sage which add an antibacterial effect (also gives a soothing herbal smell to the mask), as well as Caudalie's signature ingredient – grape extract. The mask is housed in a travel-friendly, no-mess tube packaging which makes for convenient application. Just squeeze the tube to dispense the required amount of premixed paste-like mask and apply. You can use a brush to apply this, but I use fingers to apply on clean, dry skin. Leave on for 5-10 minutes – that's about how much time it takes for the mask to dry – then wash off. I use a washcloth to wipe off the mask (dip in warm water, wring out, wipe). It's not only easier this way, I also feel it leaves my skin softer and brighter, probably due to the gentle extra exfoliation from the washcloth. Water, Bentonite, Glycerin*, Acacia Senegal Gum*, Xanthan Gum, Benzyl Alcohol, Alcohol*, Sodium Dehydroacetate, Citrus Aurantium Bergamia (Bergamot) Fruit Oil*, Vitis Vinifera (Grape) Fruit Extract*, Lavandula Angustifolia (Lavender) Oil*, Sodium Citrate, Dehydroacetic Acid, Coffea Arabica (Coffee) Seed Extract*, Coffea Robusta Seed Extract*, Citric Acid*, Papain*, Cupressus Sempervirens Oil*, Salvia Sclarea (Clary) Oil*, Commiphora Myrrha Oil*, Santalum Album (Sandalwood) Oil*, Anthemis Nobilis Flower Oil*, Petroselinum Crispum (Parsley) Seed Oil*, Carbomer, 1,2-Hexanediol, Caprylyl Glycol, Sodium Benzoate, Lactic Acid, Potassium Sorbate, Algin, Limonene, Linalool. *Plant Origin. 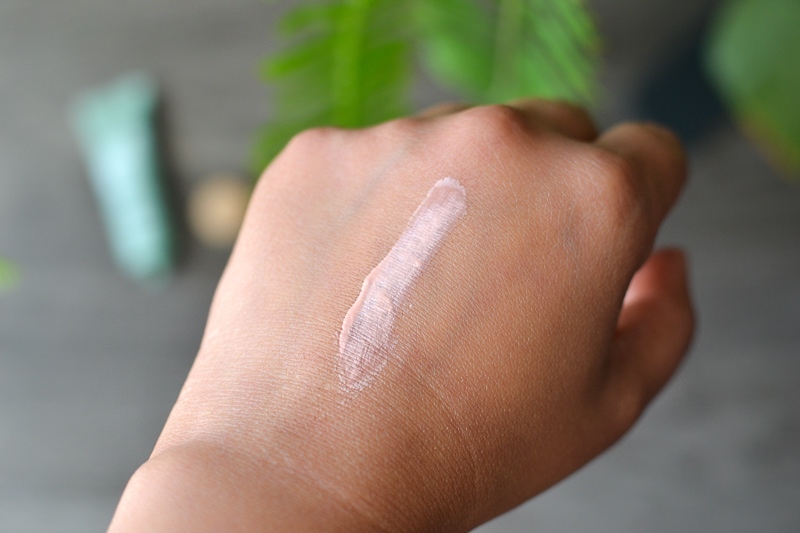 Vegan, non-toxic, cruelty-free, hypoallergenic, safe for sensitive skin and pregnancy, and free of all fillers, gluten, GMOs, and synthetic chemicals (as per Sephora). 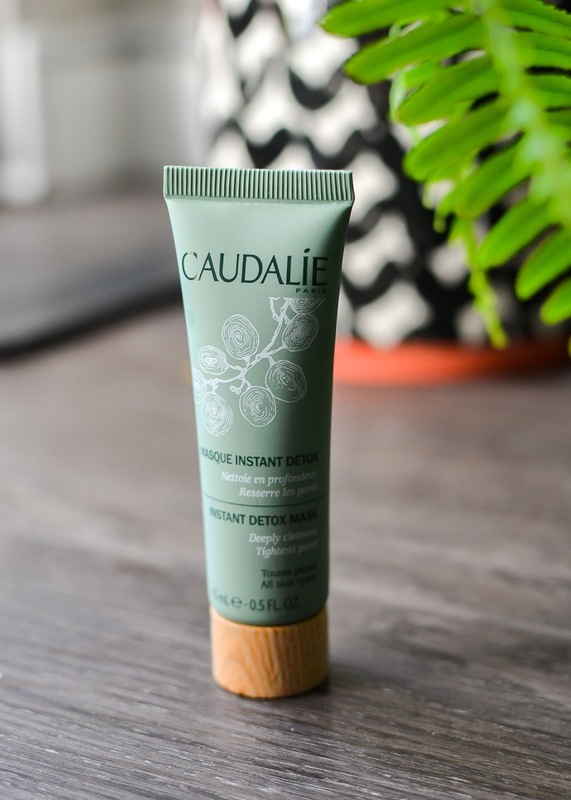 The Caudalie Instant Detox face mask does an excellent job of balancing the oiliness in my oily-combination skin. It seems to soak up any excess oiliness, leaving my skin looking and feeling fresh, but without leaving it feeling tight or dry. My skin looks brighter and feels smoother. 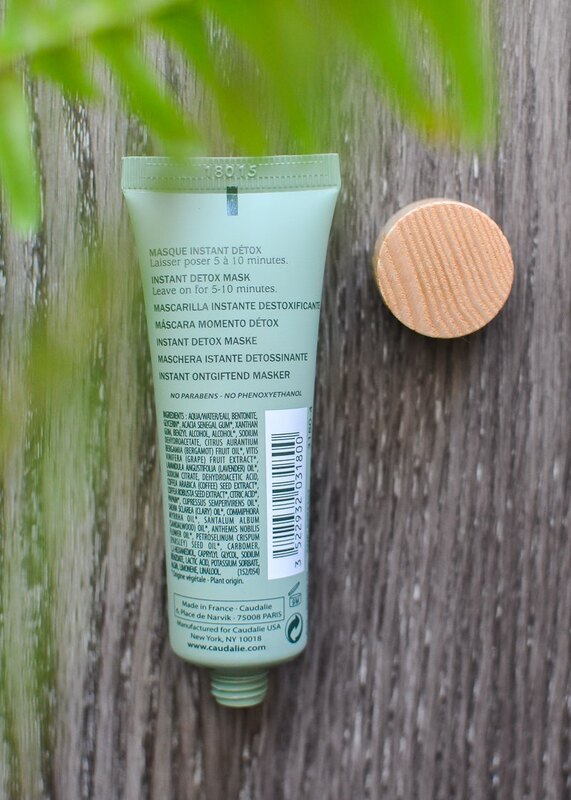 I amn't very disciplined with my skincare routine, but I have used this face mask quite regularly (about once a week when I am in the take-care-of-skin mode) and love it especially for days when my skin feels a little extra oily. Definitely one of the best clay-based face masks I have tried in a long time and one that I would recommend for oily-combination skin types.